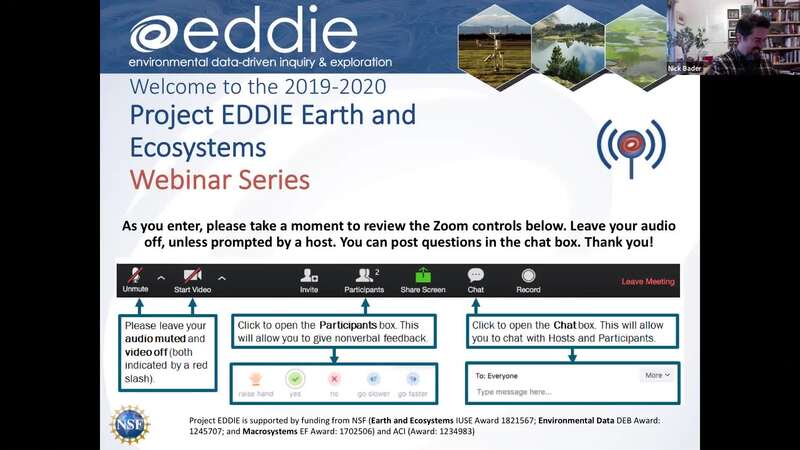 Join the first EDDIE webinar of 2019! Nick will talk about his experiences with developing and using his EDDIE Stream Discharge Module that utilizes student collected data. He will also discuss his experience and tips when implementing modules (e.g., Soil Respiration) designed by other authors. Finally, Nick will compare modules designed using student collected data or pre-existing data.